Christmas shopping can be overwhelming which is why many people put it off until the last minute. When you have kids, they may have a specific wish list or not even know what they want. This year, my son only had 1 or 2 things on his list and I added a few items he needed so it was a lot easier to get through his shopping pretty early. However, there have been some years when I’d be scrambling around at the last minute to grab gifts and it was pretty stressful especially on my wallet. Some of the best holiday sales happen way before Christmas or right after. 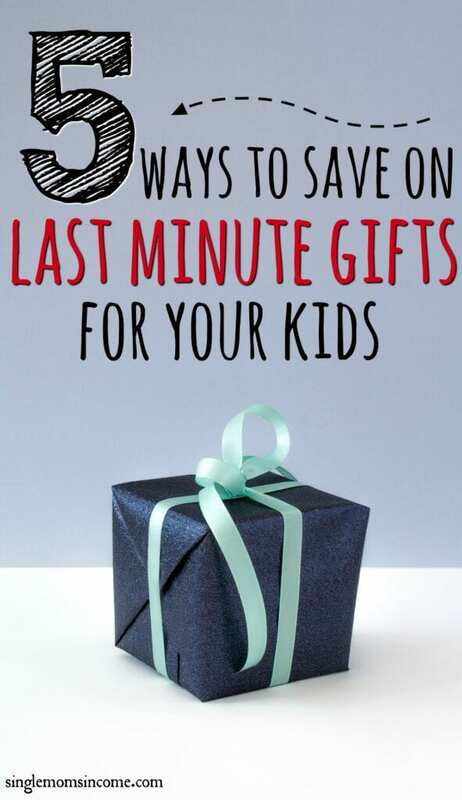 Yet and still, if you’re doing some last minute shopping, you can still save money on gifts for your kids with these 5 tips. Amazon is one of the best sites to use for your online shopping because they always have deals. There are usually daily deals and now there are even more discounts available leading right up to Christmas. These are great to look into if you’re trying to surprise your kids with items they will love but weren’t really expecting. Plus, if you’re getting last minute Christmas gifts, you can take advantage of free two-day shipping if you have Amazon Prime. 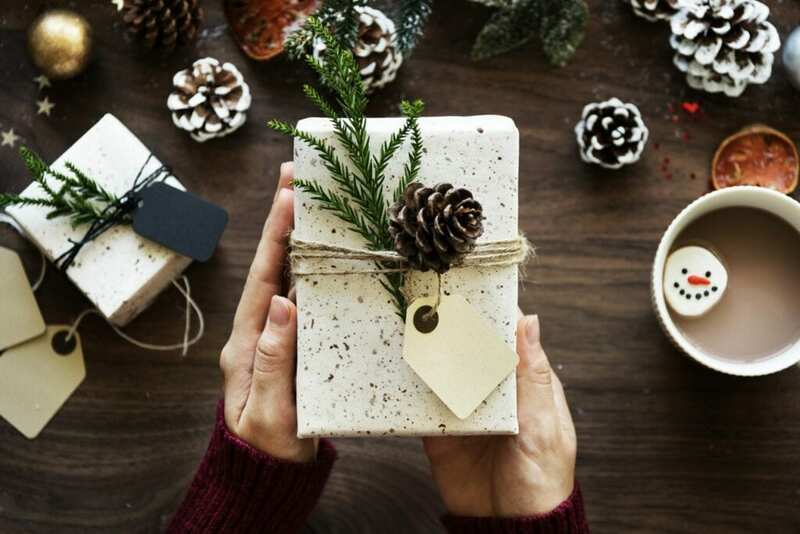 Shopping online for last minute gifts can be a smart idea if you don’t want to sort through the slim pickings in retails stores. The Facebook Marketplace is similar to Craigslist where people can buy and sell things locally by listing them online, except it’s all done through Facebook. The Facebook Marketplace is a great tool to use if you’re looking for affordable gently-used items. There’s often a ton brand new items that are up for sale as well. Just the other day, I was looking at kids’ toys on the Facebook Marketplace and I saw brand new baby dolls, building blocks, action figures and a ton of other items. You can see what town the seller is located in and contact them via Facebook to inquire about their lising. When it comes to using the marketplace, be cautious and meet in a public place to make the transaction for the item and even bring someone with you as a witness if you can. Also, always pay in cash and ask the seller to write out a receipt for you if necessary. If you’re feeling creative, stop by a craft store to purchase some materials that will allow you to create custom gifts for your kids. You can sew something, make bracelets or necklaces, or even build or paint a nice keepsake for them. You may even want to grab them an interesting craft that you can create together after Christmas. Buying materials and kits can be much cheaper than purchasing a readymade gift. It will also be more memorable as well. When I was a kid, my sister and I created this dollhouse made out of shoe boxes with my mom. We purchased some clothespins and yarn from the craft store and created little people out of the clothespins by using a glue gun to create their hair and clothing. We also made little furniture to go inside the house. My sister and I played for hours with our homemade dollhouse and clothespin doll family and it’s still a memory I cherish to this day. Kids are showing an interest in electronics at much younger ages nowadays. That said, it’s not uncommon to get requests for laptops, phones, tablets, and even smart watches. It’s no secret that electronics can be super expensive and I honestly don’t blame you if you don’t want to invest a ton of money in this area for your kids who may or may not still be interested in them a year later. To save money on last-minute electronics this holiday season, consider going the refurbished amount. Refurbished electronics are products that have been gently used or at least opened by a consumer and sent back to the store. Some people shy away from laptops and other items that are refurbished but it can be a nice way to cut your costs. Only a small number of refurbished items are defective which means most work perfectly fine. They key is to purchase refurbished electronics straight from the manufacturer or a reputable dealer. For example, Best Buy sells refurbished items all the time and offers a warranty or Geek Squad protection for the item. Finally, gift cards could be a solid option if you have older kids who would rather just spend money how they wish at their favorite store. You can purchase discounted gift cards on sites like GiftCardGranny.com and Raise.com. Plus, if you put gift cards in your kids’ stockings for Christmas, they can go out and shop after Christmas and take advantage of all the post-holiday sales. Many items are offered at extreme discounts right after Christmas. Plus, the ‘White Sale’ is pretty popular for anyone who looks to score some deals on clothing and accessories. What are your favorite ways to save money while doing last-minute holiday shopping? I am a single mom to a 15 year old and have been unemployed for a year and a half. I also currently do not have transportation. I have been looking for employment non stop every day! Lately I look for at home jobs and keep finding scams wher I get hounded by these scammers. I am looking for a legitimate site with a no start up fee due to the fact of no funds obviously. I am willing to pay back in as I make money as I am very ambitious! I would appreciate any information from any sources that are legitimate.